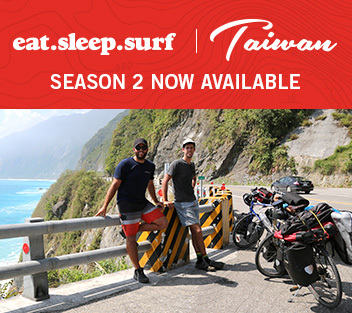 eat.sleep.surf - Taiwan: Season 2 Trailer is out. The full four episodes will be available to download. Available Now. 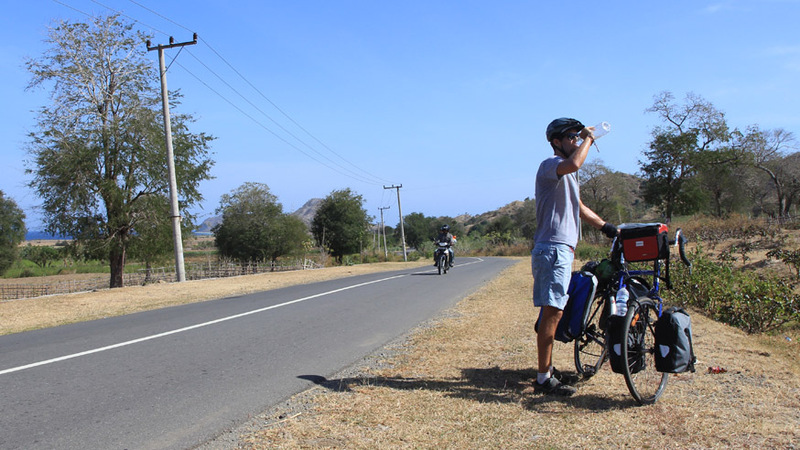 Journal 2 - Rian and Dylan cycle out of Taipei in search of surf. They battle typhoon Vongfong as they cycle the north coast. Journal 1 - Dylan and Rian land in Taipei and have 3 days to assemble there bikes and see the city. Taiwan here we come! 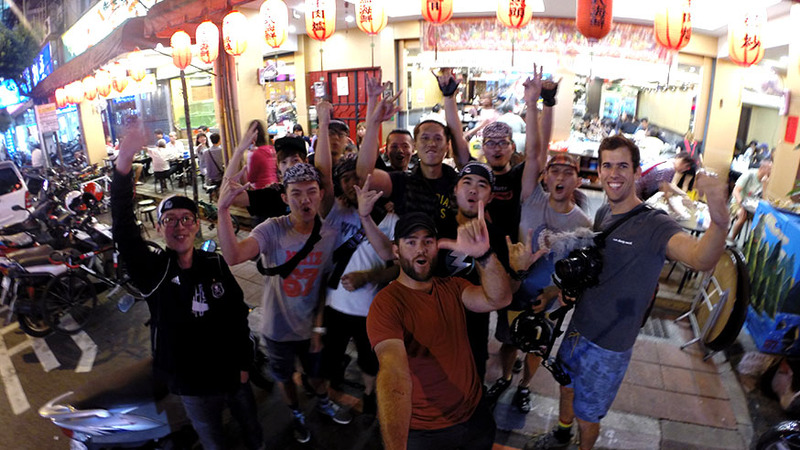 We will be surfing and cycling Taiwan in October and filming a two part tv show. 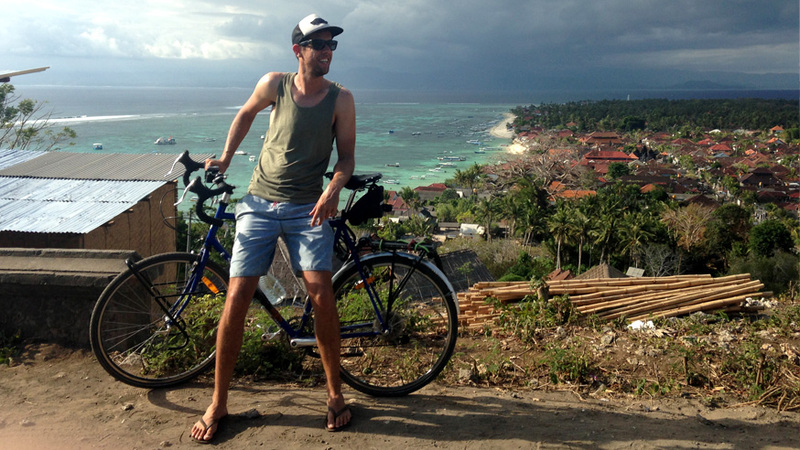 Dylan rides for 5 weeks across Bali, Lombok and Sumbawa. He films the trip by himself and names the project Sendiri. Week 4 - The return of the “HELLO MISTER, WHERE YOU GOING!” and some hard days cycling. Week 3 - Dusty barrels from a regional classic. Week 2 - A building swell in Nusa Lembogan but it doesn't turn on. We had just come down from 3 days in the mountains of Taiwan and hit the nearest beach and it's dead flat, like walk out and not even get your knees wet flat. We laughed it off and spend the day riding down the coast and then camping on the beach. 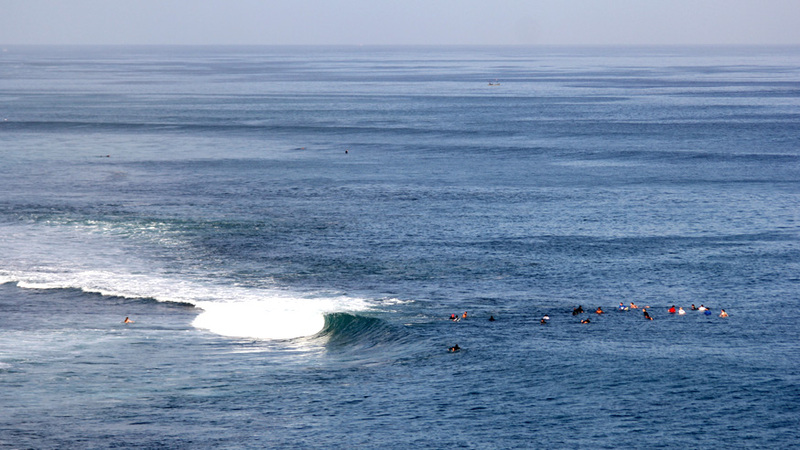 The surf is still a weak 1ft and we keep on cycling the next day. Its overcast and a little breezy, the road winds into the mountains as they fall directly into the ocean, we go through a few tunnels and then a few 200m climbs. We woke with anticipation of the first day of riding. Its always an exciting day, we have travelled so far with our boards and bikes and now we get to put them to good use. We had assembled the bikes in our hotel room about level 8 and then wheeled the bikes vertically into the elevator and onto the street. The day had finally arrived, our departure for another incredible adventure overseas. I have found that over the years and numerous long-distance rides, my preparation process has become more streamlined. I know my equipment and what works and doesn’t. I check the weather forecast to pack appropriate clothing and see which sleeping bag is necessary. Having not ridden with Dylan for almost 2 years, this new adventure to Taiwan would be a great opportunity to get back into a riding pattern with a good mate. Taiwan here we come! 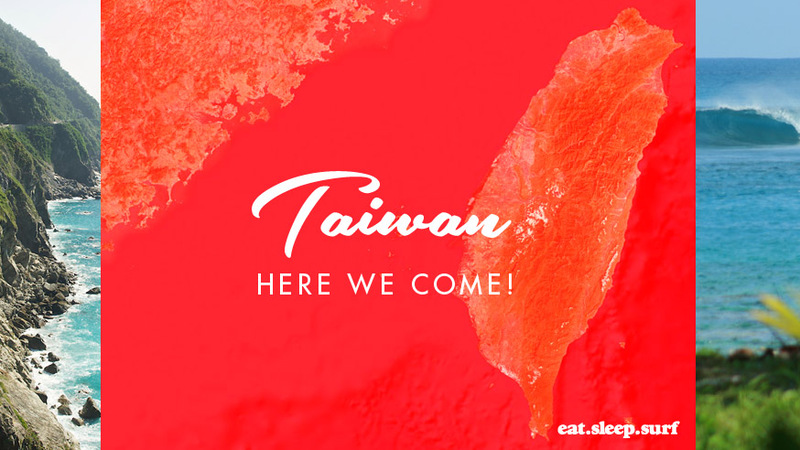 Our next destination for the Eat.Sleep.Surf series has been confirmed, Taiwan! With the backing of the Nautical Channel we will be surfing, cycling and filming on the beautiful tropical island of Taiwan. Located 180km off the southeastern coast of mainland China, we will produce 2x 45min episodes that will highlight the beauty of seeing a country by bicycle. After 3 nights at desert point I reluctantly hit the road at 6:30am, needing to leave early to beat the midday heat. 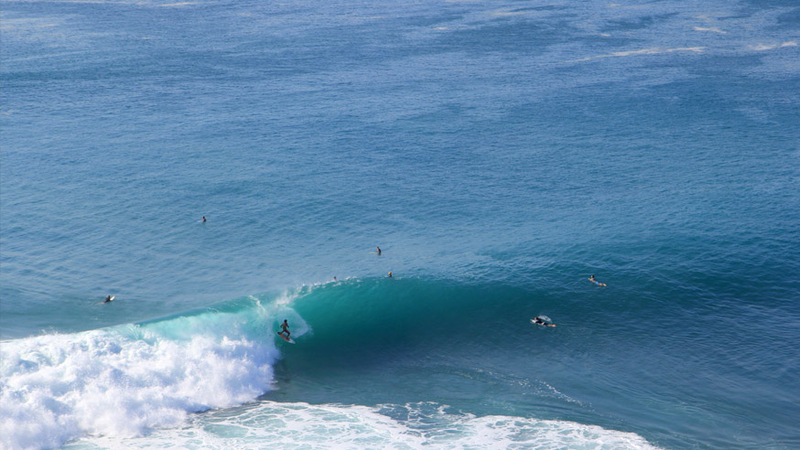 I packed the bike while a few of the professional surfers slept on the deck of the bungalows. Out the small village of Bangko Bangko and up the hill, its fairly quiet and about 26 degrees, the perfect temperature for riding. I jump on the public ferry from Gili T to Bangsal the closest port on the main land, it’s a 1hr boat ride in some turbulent waters from strong currents and high wind, even at 7.30am in the morning. It a mission to get the bike and gear on to a very full ferry, but some kind passangers helped me in the narrow boat and but the bike between there knees. A list of Dylan's equipment he took to New Zealand's South Island.They ventured there in the middle of winter and experienced temperatures from -3 to +14. Buy the orginal DVD here. To live adventure, to film it and share it with the rest of the world! 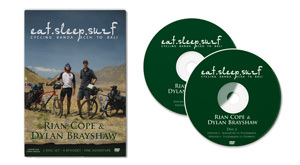 eat.sleep.surf started when Rian and Dylan cycled & surfed across Indonesia in 2009. 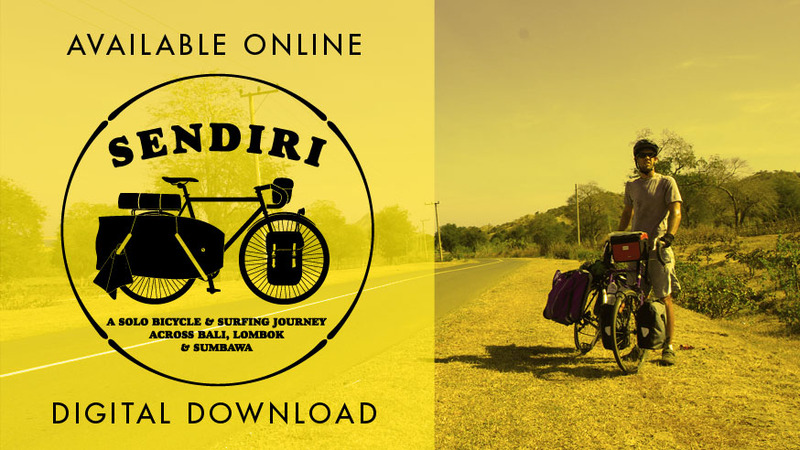 They explored the Islands of Sumatra, Similue, Nias, Asu, Mentawai, Java and Bali, finding many world class waves by bicycle. 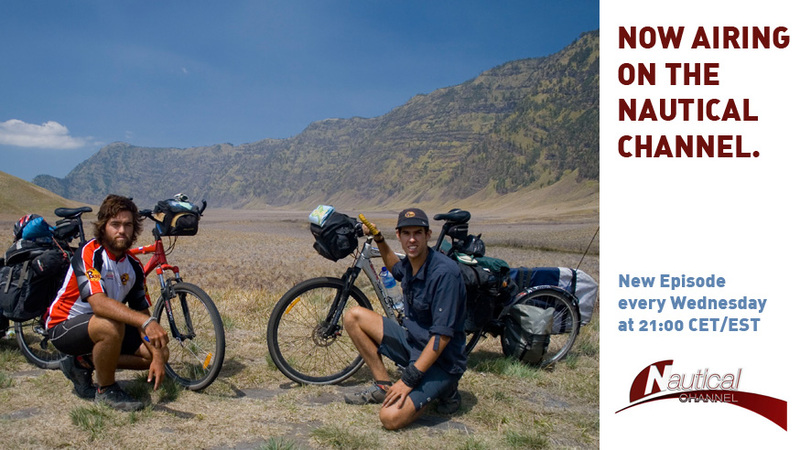 They then produced a 4 part documentary which includes animated maps, 18 months of preparation before leaving and then action packed footage of day to day life on the bikes, meeting interesting people and exploring remote regions of the Indonesian Archipelago. From volcanoes in the Sumatran highlands to the awsome power of Lagundri Bay, Nias, you will get to see Indonesia through the eyes of two young Australian bodyboarders.